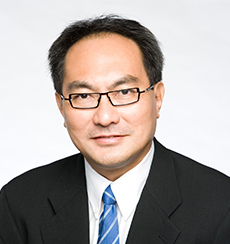 Kwok Kin, a Singaporean, is a highly experienced communications expert who is regularly consulted by corporate leaders in the region for crisis communications and complex corporate buyouts. As Founder and Managing Director of Singapore-based boutique PR and investor relations company WeR1 Consultants Pte Ltd, he leads a team providing communications counsel, including crisis communications, on retained or project basis to companies listed on regional exchanges. A distinguishing aspect of his services to is help clients conceptualise and distil the essence of their unique selling points rapidly and develop powerful messages to reach out to target audiences. A graduate of the National University of Singapore (Bachelor of Arts), he has also completed a post-graduate diploma in Journalism from The City University of London while on a scholarship from Reuters, the international news agency. He began his career as a journalist with Reuters (now ThomsonReuters), and served as a correspondent in bureaus across Asia including Singapore (1984 – 1986), New Delhi (1987 – 1988) and Kuala Lumpur (1988 – 1993), where he was Chief Correspondent in charge of Malaysia between 1988 and 1993. He was the youngest ethnic Asian to rise to the Chief Correspondent position in the history of the company. After a decade with Reuters, Kwok Kin joined US investment bank Merrill Lynch as head of equity research for Malaysia between 1993 and 1996. He was subsequently appointed Managing Director of Peninsula Research of Malaysia (where he handled equity research and the institutional business of Peninsula Securities) and left the latter to found WeR1 in 1999. Until recently he was a member of the Donor Relations Committee of the National Kidney Foundation; and a member of the Chartered Management Institute where he plays a lead role in advising on media matters.